Last week, when we made the announcement about improvements to our Basecamp integration, we promised improvements to the Insightly integration. It is ready now! Here we go with a list of all changes and improvements in the app. 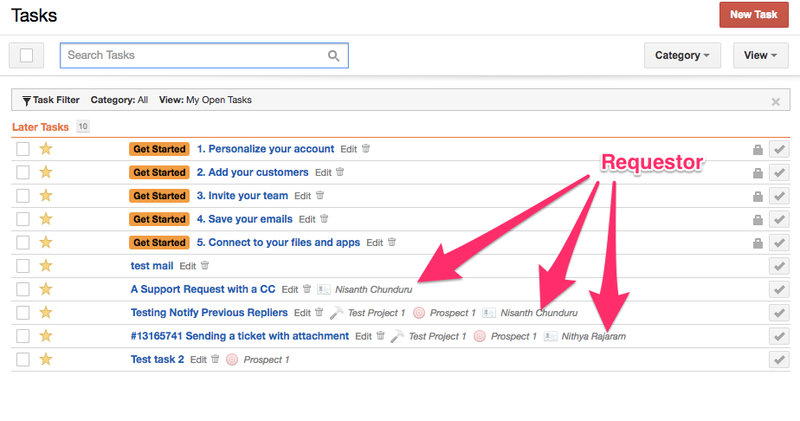 In the last version of the integration, we listed all projects and opportunities in the drop down list. A lot of the customers had reported that it was cumbersome, and it would be easier to choose from a pruned list of active/open projects and opportunities . With this update, your list will not be cluttered with dead projects and opportunities any more. When you send a ticket from SupportBee to Insightly, we now automatically associate the requestor’s contact in Insightly with the task. 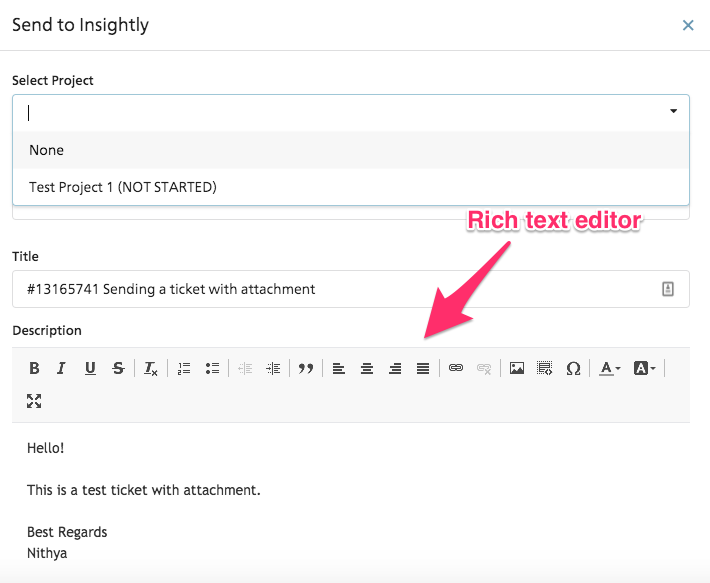 Ticket content can be formatted with our new Rich text editor before a ticket is sent to Insightly. Earlier, all tickets were sent as plain text. Now, we retain the HTML formatting in the ticket content. 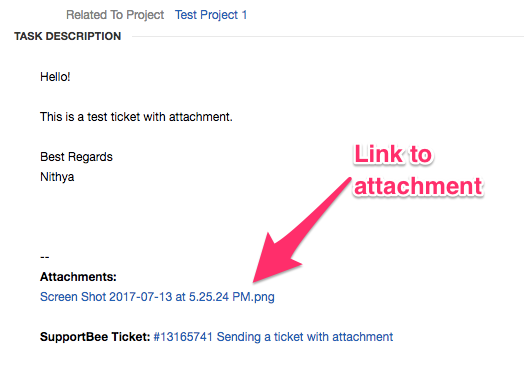 You no longer have to come to SupportBee for ticket attachments. You have a link to your attachments posted to your Insightly along with the ticket, thus reducing the effort in retrieving attachments. Thanks to our developer Pranav for all the app improvements. Please write to us at support@supportbee.com for any feedback or questions.